It’s officially February, and that means Valentine’s Day is right around the corner. I’ve always loved this holiday because it’s a cute reason to express some extra love either to your sweetie or to your friends. Today’s treat yourself Tuesday is all about the pink and red holiday. I’ve rounded up some of my favorite things that will be perfect for the love holiday. I’m loving lace in red, pink, white and black for outfits and for those little lacey items underneath. Pink and blush hued shoes are sure to make a statement. I’ve also included some of my favorite accessories and beauty products that fit the theme. Thanks babe! Isn't the mug so fun?! 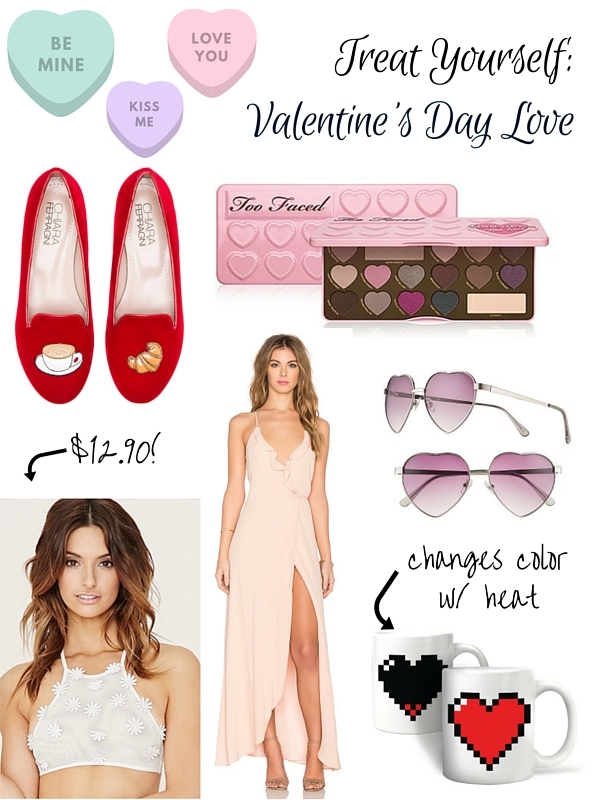 I agree - that heart mug is so cute and how it changes colors! Thanks Annie! It's so fun!